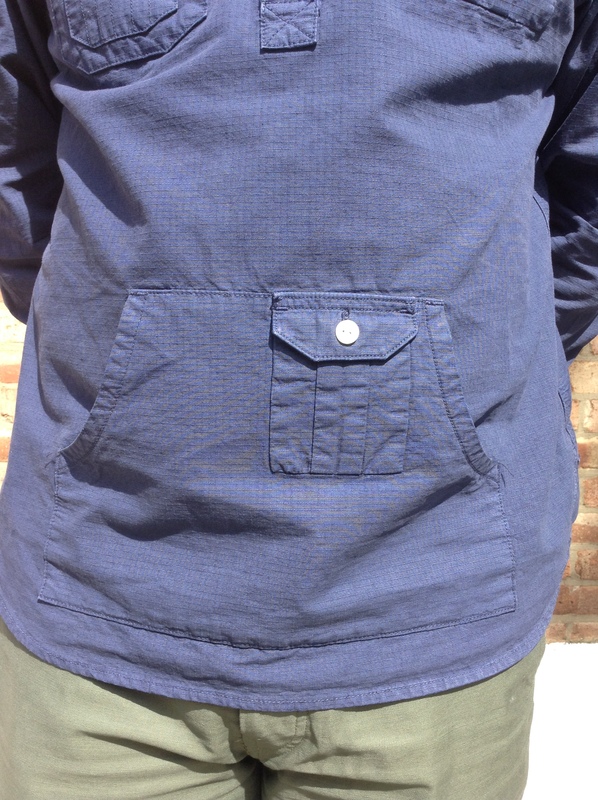 The menswearist in Manchester is obliged to stop by Oi Polloi. I was there last week; it took me three minutes to hijack a new popover. If any guys in the UK embody the contemporary casual vibe right now, it’s the bros that work in the Polloi. 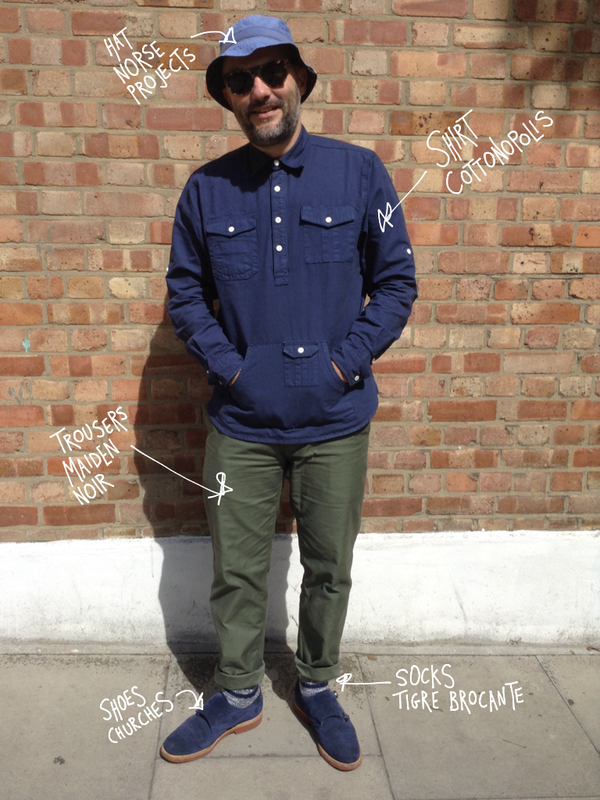 Beards, five panels, Birkies, anoraks – you know the drill. The look, with its roots in the earliest football casuals, feels like a product of Manchester, one that informs the city’s notions of comradery, belonging, practicality and identity. And people say fashion is superficial. The name ‘Cottonopolis’ originated as a nickname for Manchester during the industrial revolution — it referred to the region’s role in the production of fabric and the country’s growing clothing manufacture. It’s now the name of Oi Polloi’s in-house brand. So the popover is brilliant. 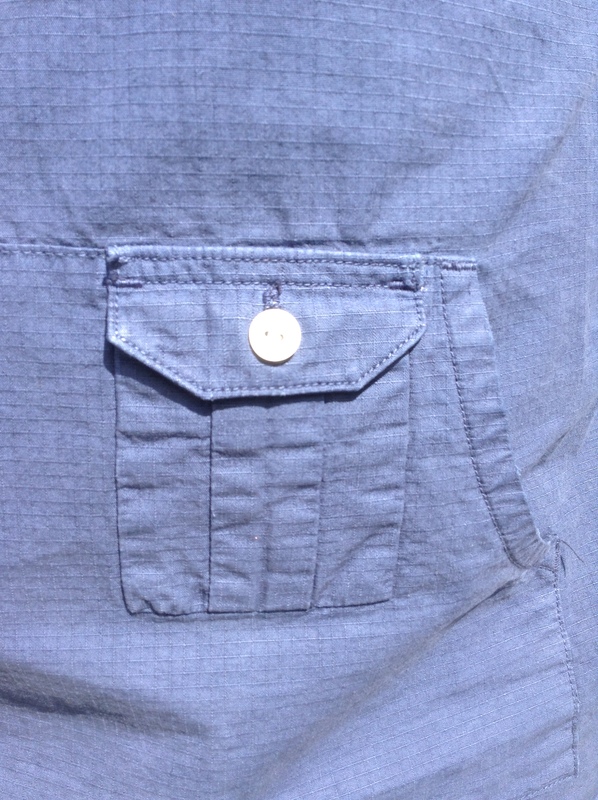 Ripstop cotton, kangaroo pocket at the front, plus another dinky pocket down low and blazing white buttons – it’s based on a Swiss Army Shirt and looks like it’s got enough pocketry for all manner of military tomfoolery. I’m big on this thing. The only troub with it? The neck is a little tight. I bought a medium and it fits perfectly, apart from buttoning the top button up. I nipped it off and re-sewed it, 5mm further along to gain a little more neck-space. Have I a disproportionately bloated neck? I didn’t think so, until now. So, like, if Mr Cottonopolis is reading, maybe make the collars a smidge more generous next time round. 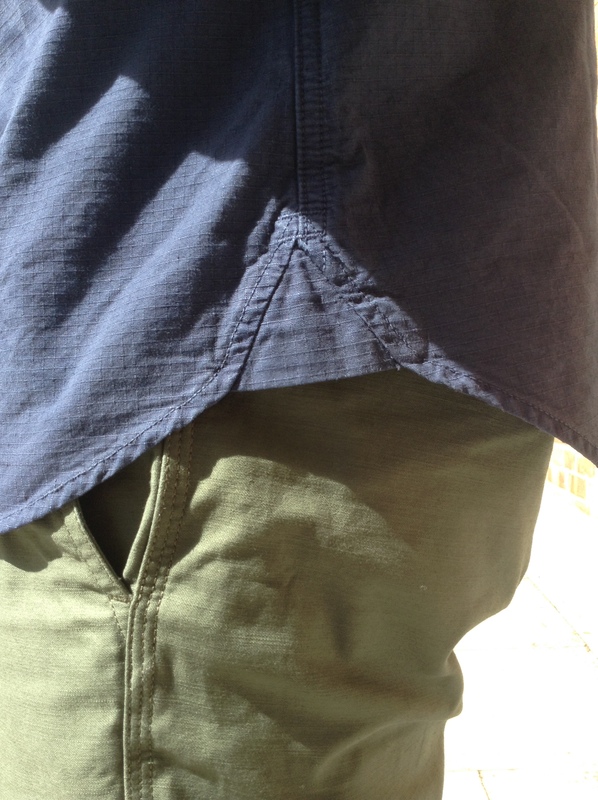 I’m also busting some Maiden Noir chinos, which, last week, I knobbled at a Goodhood Yard Sale. I got them for £25. Yep, twenty five quid. They must have been well over a ton originally. Score. 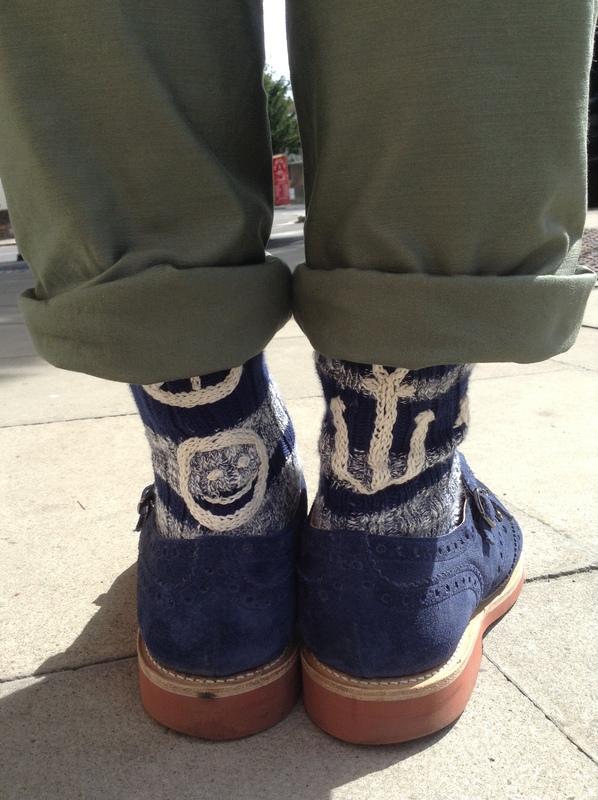 The other notables in this swag-casual kit-out are my Tigre Brocante socks. Multi-threaded, stripy and with that crude (smiley face, peace sign, anchor) stitch detail, I get very excited by the fact that you literally can’t buy these socks in the UK. Anywhere. Such is my life. So today, I’m wearing kit drawn from Manchester, London and Japan. I’m actually from the Midlands and I often think I exist in a something of a hinterland. Neither one thing or the other. But always, influenced by all.